The concept of holidays in a hotel establishment has evolved as guest’s concern for staying healthy increases. 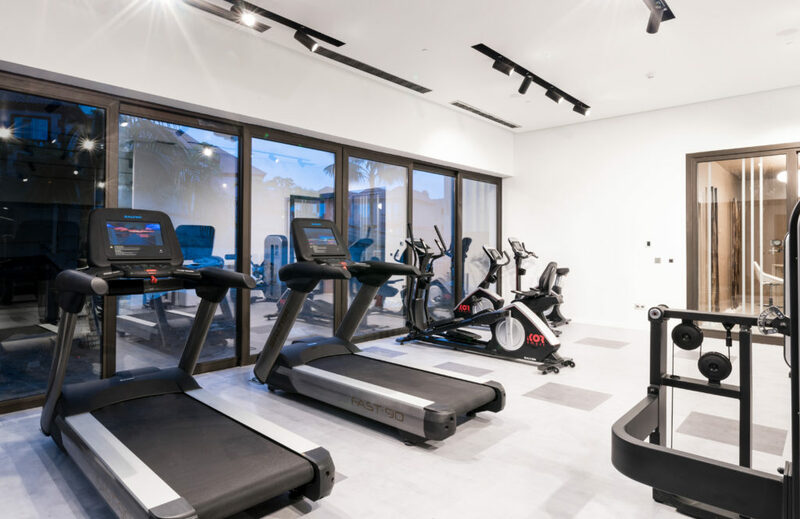 In the Hotel GF Victoria ***** GL we don’t like to talk about diets or bikini operations, but we prefer to think that sport and healthy eating are the perfect component for an ideal lifestyle. In our intention to offer the healthiest alternatives, we care about always providing first quality products, as natural as possible, to our customers. 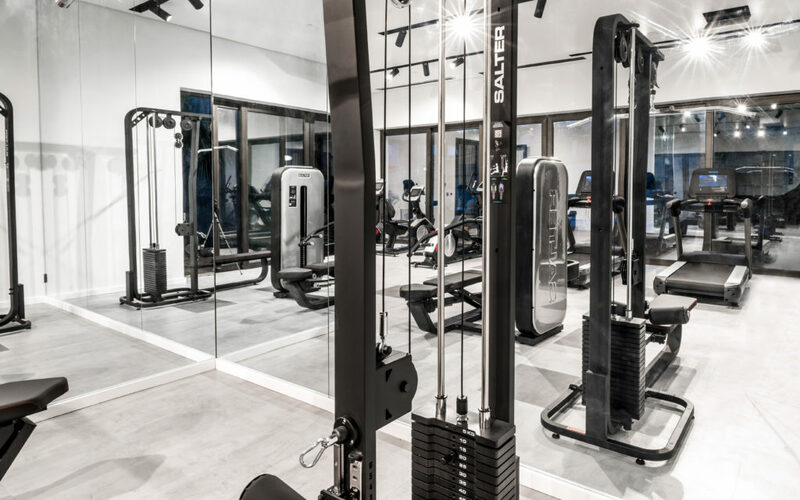 If you also choose to combine a healthy diet with training in our exclusive fitness room, we propose three types of routines with which to continue toning and not ruin your gym hours. It will only take you 20 minutes! -We will start with 15 squats that will help us to warm up and oxygenate the muscles of the hip. -Next, with the help of a bench and placing the instep on it, we will do 15 bulgarian squats (don’t try to escape, you must do 15 with each leg). -Now take two dumbbells from our gym and perform 15 strides or lounges to work quadriceps and twins. -All the ground and start with a one minute plank. Do four sets of this exercise and rest 30 seconds between them. Do not forget to squeeze your buttocks and abdomen to avoid injuries. -Now let’s do a little chest with 15 dumbbell presses and 15 openings face up. You can do it lying on a bench or directly on the floor. Do four sets of this routine. -We return to the abdominals with four sets of 20 leg lifts on the floor. Squeeze the abdomen and try to keep your back from arching. -We finish with 4 lateral plates of 30 seconds, both to the right side and the left. If you are worried that your arms will surpass satisfactorily over the years, get ready for a very simple routine that will help you keep everything in place and this summer you will see your best outfits with well-defined extremities. Our gym is equipped with a whole system of pulleys very useful for this type of exercise. –Warm up first by releasing shoulders and doing rotations of arms and forearms. -We’ll do a superset combining two types of exercises for four times: 15 repetitions of jerk on pulley and 15 lifts for shoulders with lower pulley. -For the biceps we will perform 15 repetitions of the classic curl and 15 lifts in the lower pulley. As always, repeat this routine four times. -Finally, we are going to combine triceps work from a sitting posture with posterior elevations with elastic band. Do 15 times each exercise and make a total of four series. Do not forget that once you get the idea of everything you want to work on, you can change the exercises for those that you like the most. Try to combine these routines with a bit of cardio, either in our gym machines, such as a walk on the beach, a game of tennis or squash on our courts or even a golf session. If you also dare with a yoga session or a stretch in our Japanese garden, your healthy vacation plan will be even more complete. Do you dare to try? This entry was posted in Bienestar, Deportes. Bookmark the permalink. Great Inauguration of GF Victoria ***** GL!